The growing tensions in the Middle East are still headline news, but they are no longer new. It seems that 2011 is the year of modernization for the Islamic states in the Middle East and North Africa. Tunisia and Egypt have seen revolts and overhauls of their political systems. Now it seems that it is Libya’s turn. With the prospect of a civil war becoming more and more realistic with every passing day, it is now time for the government of Libya to either change their ways or for the people to give up their hope. And as history shows, the people rarely ever silence themselves. Just one day after his son told the world that he would look into drafting a constitution and changing the political landscape of Libya, his father, the dictator, Moammar Gadhafi made it clear that he is not going to be stepping down. Monday, innocent people and protesters were gunned down by the Libyan military. 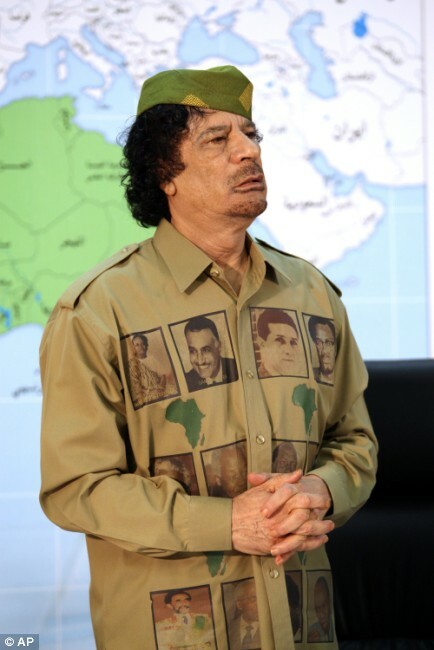 In response, members of the international community are asserting the stance that Gadhafi should step down even more. His own people are calling his actions genocidal. Ibrahim Dabbashi, a Libyan United Nations representative, said that what is going on is “a real genocide against the Libyan people. Colonel Gadhafi is shooting his own people.” He also pleaded with Gadhafi to step down and for the world powers to take action and protect the people of Libya. According to reports that have been confirmed by the United States government, inside and around Tripoli, the capital of Libya, mercenaries were shooting at crowds of people and into homes. In addition, it is being reported that citizens are running low on supplies like food and water. The tragic acts having been going on in Libya for a week now and it is time to take action. With many Libyans out in the streets fighting until Gadhafi finally lets up and steps down from power, others are instead frightful of what may happen if they went onto the streets and instead elect to sit at home and protect their families. For the sake of the Libyan people, it is clear that immediate action is absolutely necessary.